Today we’d like to introduce you to Stephanie Jones. Before my recent career transition from a marketing and business consultant for the past 20 years to a full-time tour operator, I was hired by the Greater Miami Convention & Visitors Bureau (GMCVB) almost two years ago to design, implement and evaluate a pilot business and tourism enhancement program working with select tourism-related small businesses and attractions in Miami’s heritage neighborhoods. 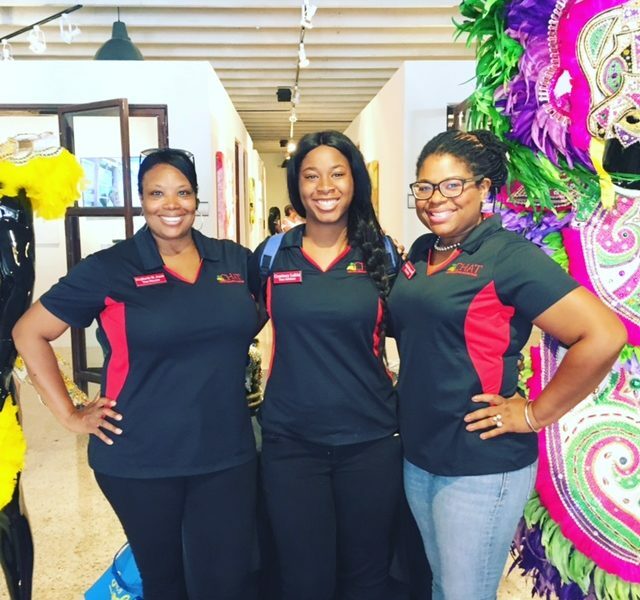 While providing in-class instruction and one-on-one business consulting to 20 businesses and attractions from Little Havana, Little Haiti, Historic Overtown and Coconut Grove Village West. I spent a lot of time learning the landscapes of these neighborhoods as well as the challenges faced by the businesses and attractions. Upon completion of the six month training program, I decided that I would create a mechanism for these businesses and attractions to fully participate in Miami’s billion-dollar tourism industry. Since most of the heritage and multicultural neighborhoods such as Historic Overtown, Little Haiti, Liberty City and Opa-locka have not been consistently attracting visitors and dollars to their neighborhoods, my husband and I created the Cultural Heritage Alliance for Tourism, Inc. (CHAT) to help level the playing field and to broaden engagement and inclusion of small businesses, attractions, tour operators and tour guides in Miami’s billion-dollar tourism ecosystem. The 20 businesses that successfully completed the GMCVB’s tourism and business enhancement program acquired business and tourism marketing skills. However, they had not achieved any tangible results. CHAT was founded to help create tangible outcomes by engaging small businesses, attractions and tour guides from the heritage neighborhoods in the tourism industry. CHAT is not your ordinary tour operator. Our priority is to create win-win partnerships that drive more locals and tourists into our heritage neighborhoods and dollars into the businesses and attractions. Each time we conduct a walking or bus tour, several small businesses are exposed to locals and visitors and they receive compensation for their participation as a bus operator, food tasting location, tour guide or attraction visited. Our business philosophy is “doing well while doing good” in our community. I have been a serial social entrepreneur for the past 17 years and I’ve been on this never-ending roller coaster ride that has its highs and lows. There are always challenges with starting, operating and growing a business encountered by most, if not all, entrepreneurs. Stepping out on faith and taking risk presents many challenges, heartaches and sometimes hardships. I have experienced them all over the past 17 years. Of course, lack of working capital is the greatest challenge for start-ups and businesses wanting to expand. Also, relationships with family and friends may suffer when you are extremely focused on making it happen and always functioning on beast mode. Although it has not been a smooth road, like many other entrepreneurs, I have crashed and burned, survived and thrived as a business owner. I would not change any of my struggles because they have made me stronger, wiser and more determined to be my own boss. Alright – so let’s talk business. Tell us about Cultural Heritage Alliance for Tourism – what should we know? Our vision for the Cultural Heritage Alliance for Tourism, Inc. is to become a model initiative for increasing tourism readiness, tourism inclusion and engagement for cultural and heritage community assets throughout the State of Florida and other states. We’re not your ordinary tour operator. CHAT seeks to partner with Convention & Visitor Bureaus (CVBs), Cultural Affairs, Cultural and Heritage Tourism organizations, City and County agencies to invest in our efforts to enhance the business and tourism capacity of small businesses and attractions in their local communities. We work to prepare them to actively participate in their local tourism ecosystems. Our tourism marketing and tourism readiness programs help them to position their businesses and destinations to attract foot traffic and dollars from locals, domestic and international tourists. Upon completion of our readiness programs, they have the opportunity to join their local Cultural Heritage Alliance Tours’ network. Current CHAT networks include CHAT Miami, CHAT Broward and coming soon CHAT Palm Beach and CHAT Jacksonville. We look forward to expanding and partnering with other CVBs, cities and counties across the State. Through our Cultural Heritage Alliance Tours’ networks, we serve as a tour operator, tour developer, business development and marketing partner to our alliance members. Through our efforts, we strive to increase inclusion and engagement of tour operators, tour guides, attractions and small businesses in Florida’s tourism industry as well as fuel economic development and sustainability in heritage neighborhoods and multicultural communities. Each CHAT network is comprised of tour operators, tour guides, attractions and tourism-related small businesses. CHAT partners with them to curate, market and book educational, interactive walking and bus tours and tastings of cultural, heritage and urban contemporary experiences for locals, domestic and international tourists. -Strong work ethic: I’m not afraid of working hard for what I want and I lead by example. As president or owner, I do the grunt work when required and wear multiple hats. I won’t stop until the job gets done even when I’m exhausted. Failure is not an option! -Spirit of Excellence standards: I always strive to work and operate in the spirit of excellence and my work has always spoken for itself. I set the bar high for those who work with me and expect the same high-quality output for every client and partner. -Creative, out-of-the-box thinker: I do not like to replicate other folks’ work. I allow my creative juices to think bigger and broader to produce work that sets me apart from my competitors. -Visionary: I am very much a big picture person and I am gifted to know exactly what steps are required to turn my vision into reality. -Compassion: I care about others and always want to empower other small businesses to get out of their own way and to shift their thinking so they can achieve the success they desire. -Collaborator: I am a very strong advocate of collaboration. I always seek to and prefer to collaborate instead of competing. I believe there is always room for win-win opportunities. Thank you so much Voyager MIA for this great feature article and exposure. We appreciate the opportunity!